Dubrovnik's airport at Cilipi does not have an airport hotel which can make for a very short night's sleep if you're catching one of the early flights to Zagreb. (see more on getting from Dubrovnik to Cilipi airport). It can make sense to stay close to the airport and here you do have some enticing options. 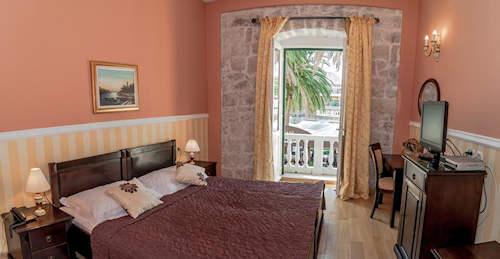 Only 4km from Cilipi airport, Cavtat is a good choice for your first or last night in Dubrovnik. It's right on the coast with a huge assortment of luxury resorts, boutique hotels and rental apartments. 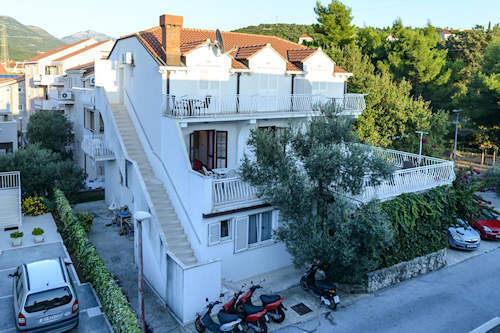 This family-run four-star boutique hotel is in central Cavtat and near the beach. This charmer packs a lot of comfort into its three-star rating. The beautifully outfitted rooms and apartments here have terraces, perfect for starting or ending your day. 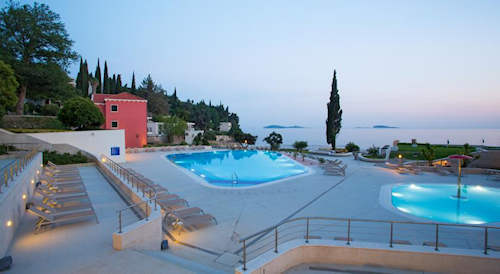 The Dubrovnik Riviera includes three seaside villages--Mlini, Plat and Srebeno-only about 8km from the airport. 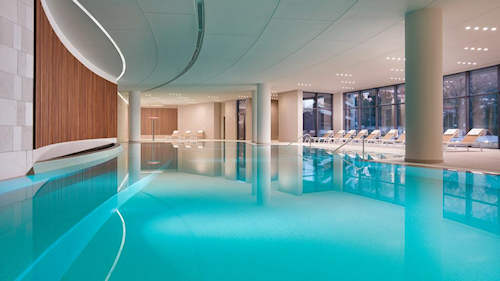 There's no better place to either unwind after a flight or prepare to leave than in this luxurious five-star hotel only recently opened. 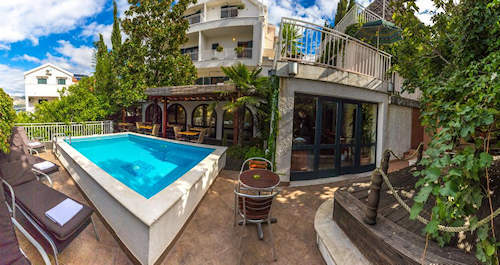 The new four-star Hotel Mlini is only steps from the beach, adding to the featured indoor and outdoor pools. These four-star apartments all have balconies with either a sea or garden view.